Choosing the right remodeling contractor is the first and most important decision to be made in the remodeling process. If you’re looking for home remodeling in Lexington, Kentucky, contact Thomas Quality Construction. We have been able to grow and establish ourselves in the Lexington market by consistently providing professional remodeling services with the level of trust our customers expect and deserve. The majority of your life is spent in your home. It’s where you gather with loved ones, unwind after a long day and raise your family. The special moments of your life unfold in your home. So, doesn’t it deserve to be perfect? Our home remodeling specialists at Thomas Quality Construction can help turn your ideas into reality. No matter the size of your space or layout of your property, we have the skills to make your home more functional and aesthetically pleasing. When you work with Thomas Quality Construction, you’ll have a world of options from which to choose. From small renovations to complete overhauls, we’re equipped to handle all home remodeling projects. Thomas Quality Construction has the experience and expertise that can turn your current residence into the dream home you have always wanted. We have years of construction experience and a commitment to quality. We see every home remodeling project as an opportunity to exceed our clients’ expectations. When you decide to remodel your home, you need to know that both your money and time will be handled in a professional manner. More importantly, you want the assurance that the remodeling company you hire is a firm that you can trust. Thomas Quality Construction is an experienced and trustworthy full-service home remodeling firm that has helped many clients in Lexington, Kentucky. Thomas Quality Construction creates beautiful home additions. We specialize in custom homebuilding, home additions and home renovations including kitchens and bathrooms. 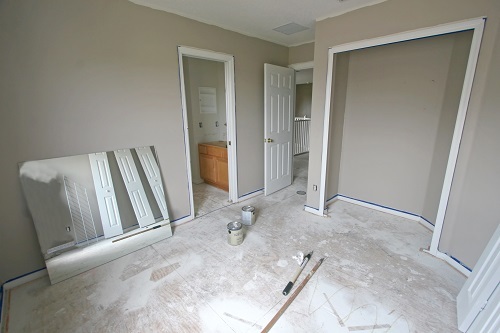 We consistently add substantial value to homes through renovating improvements. Thomas Quality Construction can take care of everything regarding your home remodeling project from construction, plumbing, electrical and framing all the way to painting and flooring. Home remodeling differs from new construction in many ways, the biggest difference being that most of the time the homeowners are occupying the residence while the project is taking place. Our team at Thomas Quality Construction is aware of homeowners’ needs for cleanliness and privacy. In remodeling, there are also hidden obstacles that are not revealed until the demolition of walls, roofs and floors is underway. Remodeling can be tricky, that’s why you can have complete confidence with the remodeling specialists at Thomas Quality Construction. Thomas Quality Construction works directly with our clients to design their home remodeling projects in Lexington, Kentucky. We’ll base the design of the project on your home, your goals for the project and your budget. We’ll work with you throughout every stage of the process. No matter how small or large your project is, we’ll always be ready and eager to provide a job well done. It’s our goal at Thomas Quality Construction to provide the highest quality home remodeling services possible. We have extensive training and experience and we’re committed to ensuring that our clients receive high quality craftsmanship, the best quality and professional customer service.